Thank us by spreading the word! Have you ever imagined being able to create your own animated explainer videos? Creating professional videos is hard, so that's why Powtoon has created a platform so easy to use so that even your grandma can create her own animated video about how to properly feed her grandchildren. That's right, and what makes it even better is that PowToon is FREE to use (Some Limitations: PowToon's watermark, can't download video, video limited to 5 min, lower resolution quality, and what not). However, if you're looking to create longer and fully featured animated videos for your startup or business, you can now get the Pro or Agency plans 50% off their already discounted prices. 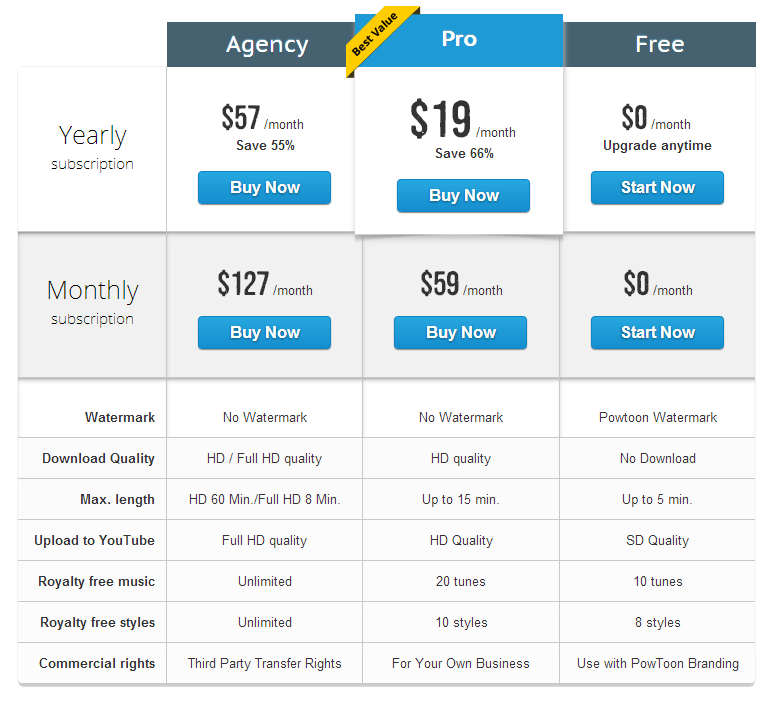 Which means that you can save $114 a year on the Pro plan and a huge $342 on the Agency plan. Moz: Get 2 months of the best SEO Analytics Suite for Free! 2013 AppBay.co All rights reserved. Likey all the great startup deals?